The temperatures are on the rise, sunny days are more frequent, summer is surely on its way. The time has finally come to spend more time outdoors. Earlier we gave you an article for indoor rowing machines to get that perfect beach body and, of course, it would be a waste if you don’t show it off at the beach. 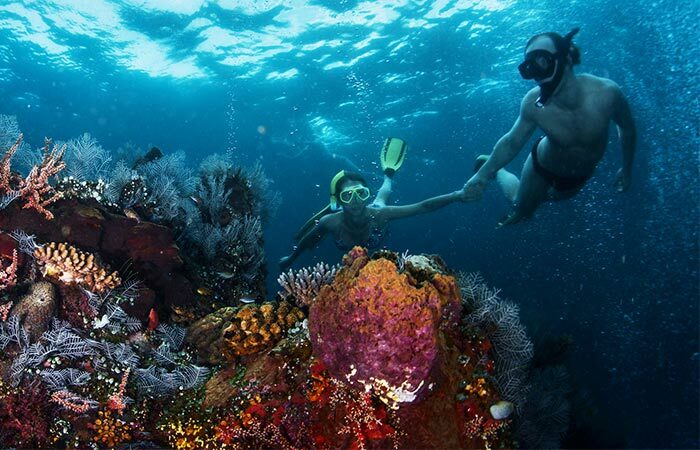 So, with that in mind, we scoured the market for the best snorkels that money can buy so that you can enjoy the colorful world that can be found underwater. 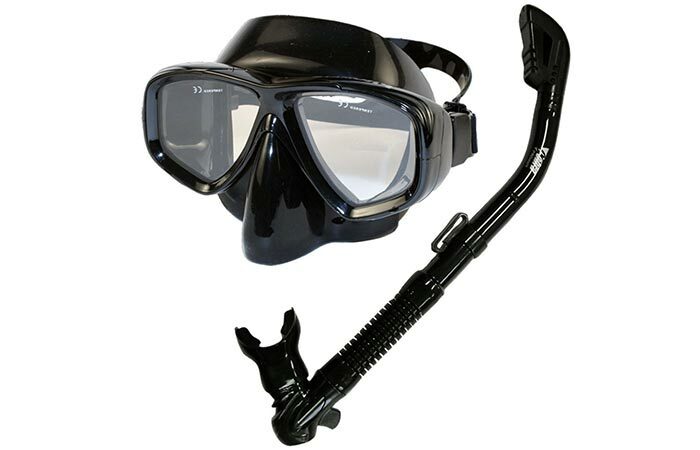 Be it simply for leisure, exploring or spear fishing, these snorkels will definitely suit your needs. The designers of this mask Tribord made waves (pun intended) when they created this snorkeling mask. It was a revolutionary new way of snorkeling and it sure does keep up with the hype. Discarding the usual two-piece snorkel and mask combo, this is a full face mask with the snorkel built into it. Since it is a full-face design, it offers a comprehensive 180-degree field of view and its shatterproof polycarbonate window ensures an extra degree of safety. Tribord also went one step further and implemented a new breathing system that counteracts mask fogginess; it works by pulling air through the snorkel and into the mask while expelling the warm air from your mouth through channels on the side of the mask. 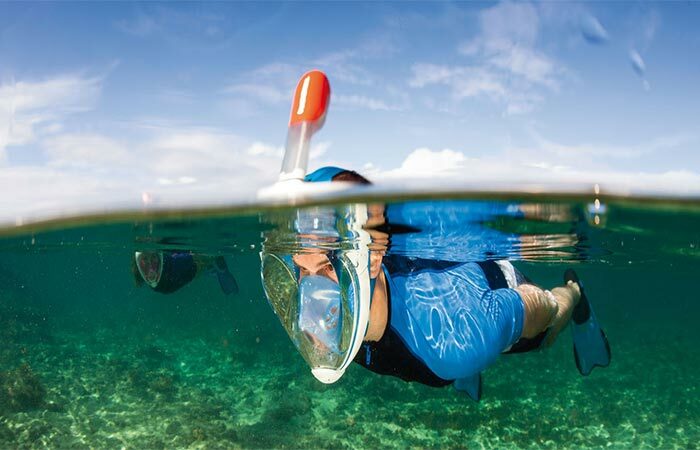 Shallow dives can also be taken with the Easybreath mask since the snorkel has a water stop valve incorporated and, to increase visibility for boats and surfers, the snorkel has an orange tip that can be seen up to 4 times further away than conventional snorkels. This mask features an inbuilt case for your GoPro. 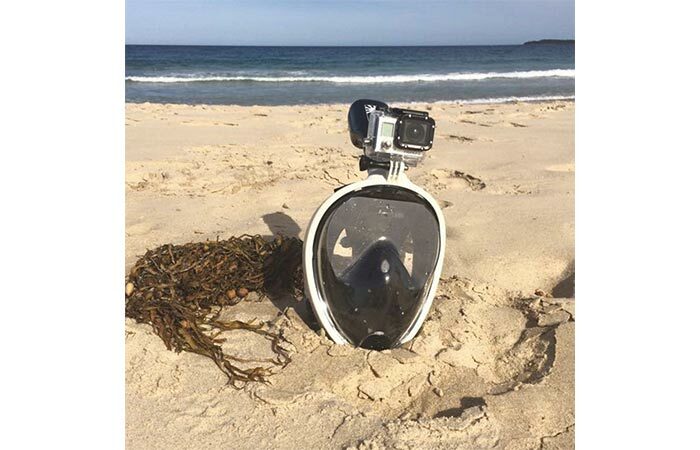 Taking the Easybreath concept a bit further, the model is perfect for those of you that enjoy filming your underwater adventures. This mask by NEOpine also offers 180-degree vision with a polycarbonate window while the mask, and seals, are made from medical grade silicon. What makes the NEOpine so special is that it has an inbuilt mount for your GoPro so that you can seamlessly record and capture your sessions. This mask is also compatible with a myriad of other cameras such as the Sunco SJCam 4000, 5000 and 6000, the RioRand, Afunta and many others. The EasyBreath technology also makes snorkeling much easier since you have the added bonus of breathing through both your nose and your mouth. This mask will give you a panoramic view, and it will keep you safe and comfortable. Some of you probably don’t really enjoy the idea of a full-face design, so we added some of the best mask and snorkel sets that we could find. Cressi certainly did fit that description but don’t take our word for it, take the 180 happy customers that gave this set 4.5 stars out of 5 on Amazon. Of course, this does not go unwarranted. This mask features 4 lenses to increase your field of vision and to make sure that you get the most pristine viewing quality, Cressi used tempered glass for the windows and polycarbonate for the window frame. The mask and seals are made out of liquid silicon for both comfort and superb waterproofing. The snorkel itself is the first submersible ever made by Cressi and the dry top allows you to submerse it completely while it stops water from entering the breathing tube. The mouthpiece is made out of silicon and features a flexible tube for ease of use. Phantom Aquatics set is also rated for scuba diving. Moving on from sets that are purely for snorkeling, Phantom Aquatics designed something that isn’t purely a snorkeling mask and breather but has also been rated for scuba diving. It’s super lightweight and uses high-grade silicon to seal around your face properly while the tempered safety glass ensures that you have a pristine view quality. With scuba diving in mind, Phantom Aquatics equipped the mask with an easy to reach one-hand operated nose pocket that allows you to equalize your ears to the different pressures. This mechanism also works with gloved hands. Furthermore, the velocity mask has a push button buckle that makes adjusting your strap simple, quick and effective. The snorkel is flexible and the mouthpiece is made out of silicon and sits at an angle for comfort. It has been designed to work well with scuba gear since it can smoothly swing out of the way to make place for a regulator. This snorkel version is semi-dry so you can completely submerse it but there is a possibility that you might have to purge before breathing in. Promate Scuba/Snorkel Set features a one-way purge valve. It is easy to see why the Promate Scuba and Snorkel Set delivers on the money. This set is somewhat different than the one by Phantom Aquatics since it comes with a Cobra Dry Whistle Snorkel with an incorporated one-way purge valve means that you can submerse it completely and never have to worry about water entering the snorkel tube. The mask, Pro Viewer Purge, has also been designed to be used for both snorkeling and scuba diving. To make sure that the mask stays clear of water, Promate equipped it with a purge valve that gives you another channel to let air out or to push excess water out. The face skirt is made from hypoallergenic silicon while the windows are made from tempered glass. The snorkel is also made out of pre-curved silicone that alleviates jaw fatigue and it also has a slip-in snorkel keeper that attaches directly to the mask.